Seen on the C train, Manhattan, March 11, 2019. 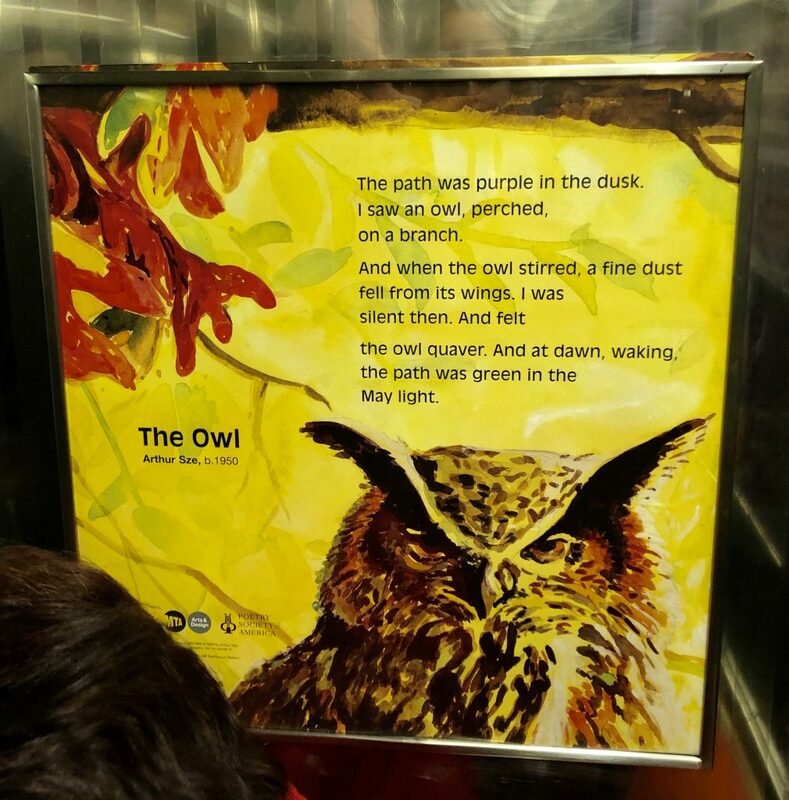 This entry was posted in Poems, prose & song and tagged Arthur Sze poem, owl poem subway, Poems on the underground, poetry in motion, subway poems on March 13, 2019 by Louise. 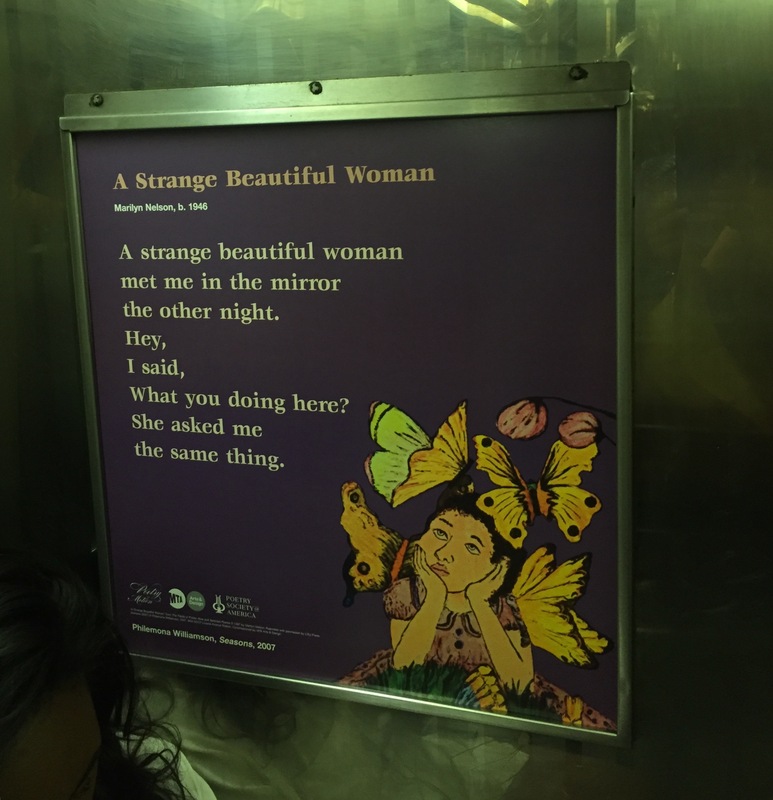 Seen on the C train, Manhattan, New York, September 16, 2016. 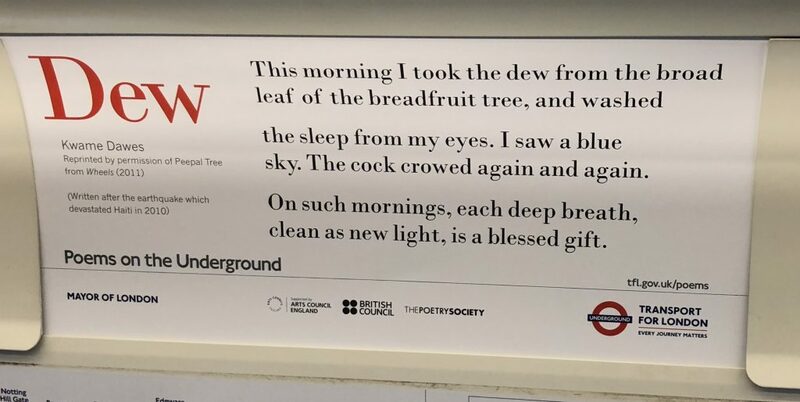 This entry was posted in Poems, prose & song and tagged Gary Snyder poem, poems on subway, Poems on the underground, subway poetry on September 16, 2016 by Louise. 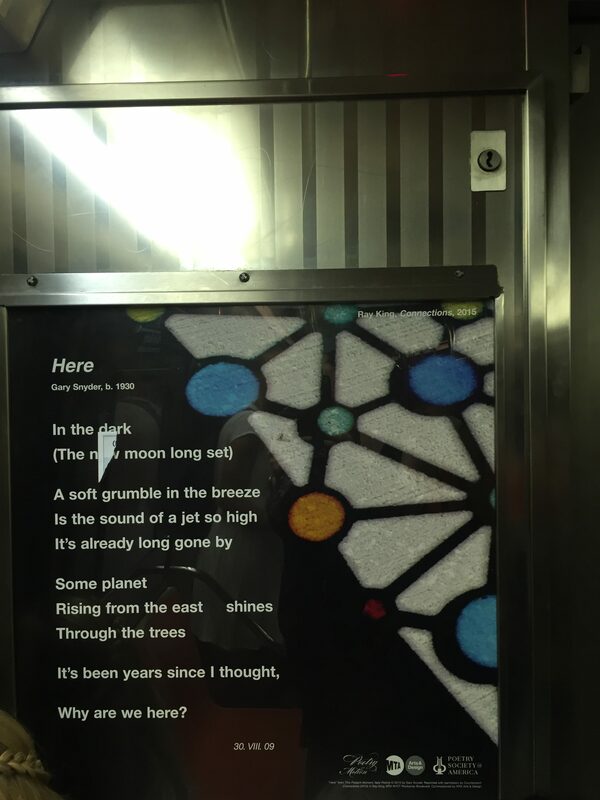 Seen on the C line, New York City subway, August 9, 2016. 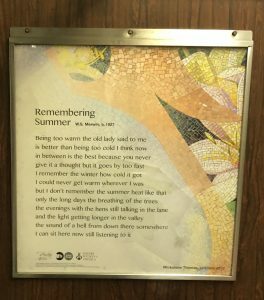 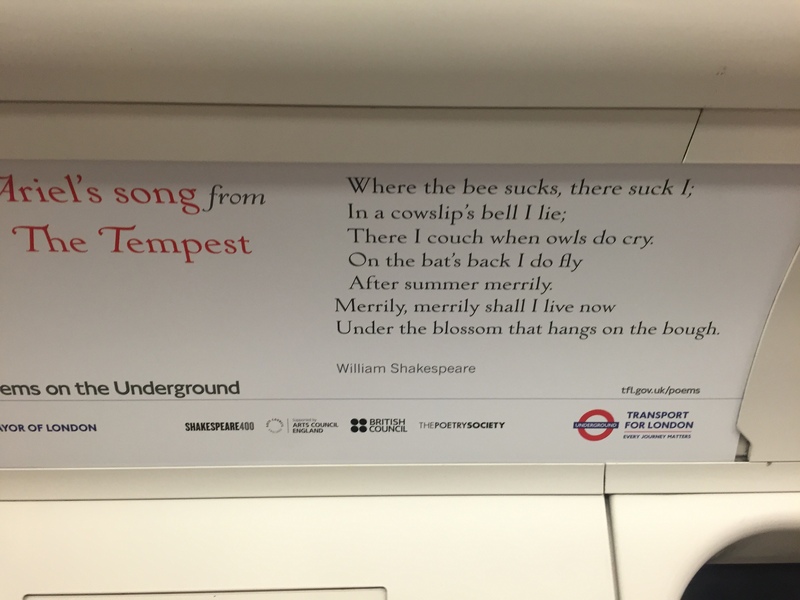 This entry was posted in Poems, prose & song and tagged A Strange Beautiful Woman poem, Marilyn Nelson poem, Poems on the underground, poetry in motion, subway poems, subway poetry on August 10, 2016 by Louise.